An amazing opportunity has arisen for a Consultant in Neurology to join a major hospital in a Coastal area in the South West of England on a Permanent basis. 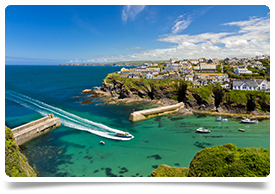 You will have an amazing quality of life in the Cornwall Area with its fantastic climate, environment & beaches as well as fantastic coastal towns & areas to explore. The waters are perfect for sailing & the beaches are ideal for surfing. This part of the country is known for its relaxed lifestyle & pace of life as well as favorable weather. The salary for this position is based on experience & will pay between £77 - £104k plus a generous relocation package. This is an exciting time for the department with a number of planned developments, in which it is hoped the successful applicant will play an active role. A specialist interest would be actively encouraged to expand the specialties current service provision. 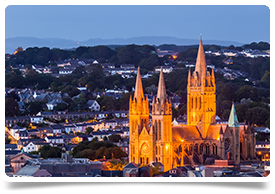 This is a fantastic opportunity to join a fantastic & supportive team in the most sort after part of the UK, you may be in a substantive post already & looking to get away from the hustle & bustle of the city or you may be an overseas Dr looking to return to the UK, Cornwall will offer you a relaxed environment breath taking views & great pace of life. To apply for this post you will need to be GMC registered with a current license to practice & as this is a permanent position, you will need to be on the specialist register, if you have GMC but it is inactive, you will be fine to apply on the basis you will reinstate by start of post. If this post is of interest to you please get in touch & I will advise accordingly. If you are already in a position you are not looking to move from but know someone who would benefit from this, do let me know, I can pay £500 referral fee for any successfully recommended applicants.